It’s official – the days are getting shorter and the weather colder! As winter approaches, many people find it more difficult to get motivated in the morning. No one wants to leave a warm, cozy bed to step onto a cold, tiled bathroom floor. Your bathroom should offer a warm, welcoming space, particularly this time of year. Bathroom floors can be cold, and stepping on to this unforgiving, hard floor is not a great way to start the day. While adding a cozy rug helps, the best way to combat cold floors is by adding underfloor heating. Radiant underfloor heating not only warms up the bathroom floor, it is also an energy-efficient heating solution to add warmth to the bathroom. Start every morning by stepping onto a soothing, warm floor. This may be just the motivation you need to get you moving in the morning! Not all showers are created equal. If you have space in your bathroom and budget, consider including a steam shower. It can transform your shower experience, offering the perfect spa feel in your own home. Steam showers have benefits for respiratory health and skin care. Even if a steam shower is not in your plans, a well-constructed shower with a rainfall showerhead or massaging shower panel will do the job to give you a warm start to your day. If a bath is more your style, consider including a bathtub in a material that better retains heat. Copper, brass, and soapstone, among other materials, are more effective at retaining heat meaning you can soak even longer in the tub. You may want to position the tub near a window so you can soak up some vitamin D from that elusive winter sun while you soak yourself in the tub. Once you are finished in the tub or shower and step out onto your heated floor, the next thing you need is a warm towel waiting for you. Radiator towel warmers serve the purpose of giving you toasty warm towels at the ready. They also provide an excellent supplemental source of heat, or in some case even the only source of heat. These radiators fit into any bathroom, and serve as a stylish addition to your bathroom design. They come in all shapes, sizes, and styles, ranging from more modern and minimalist to more traditional designs. Typically they are positioned near the shower or the bath so that warm, fluffy towels are ready when you step out. Don’t forget to add hooks nearby for your bathrobe too! 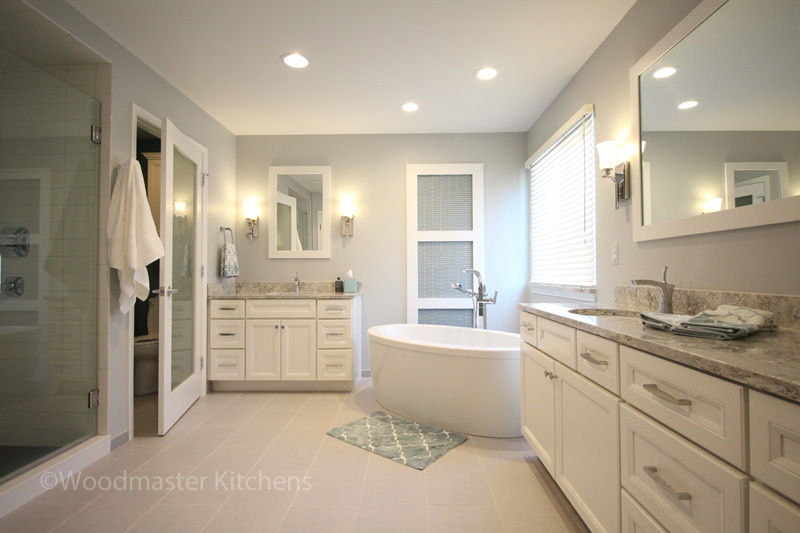 If you are embarking on a bathroom remodeling project, consider the design elements that make all the difference to your quality of life during the cold, winter months. Get more ideas in our bathroom design gallery here, or contact us to discuss ideas for your new bathroom.